A lot of Minnesotans care about water quality, but few would go the lengths Jay Gustafson is traveling to prove it. Gustafson, known as "Waterway Jay," is paddling all 34 of the state's water trails, roughly 4,500 miles in all. He plans to start his second summer of paddling this spring. "Really, I'm just trying to raise the profile of the issue, because 40 percent of our water is considered contaminated," said Gustafson, who lives in Champlin. His interest in water expeditions began in 2016, when he paddled the length of the Mississippi River from Lake Itasca in northern Minnesota to the Gulf of Mexico. Shortly after, Dayton declared it a "Year of Water Action" and a goal of improving Minnesota's water quality 25 percent by 2025. • Carrot vs. stick: How should Minnesota get to cleaner water? Last July, Gustafson quit his job of 10 years as a business analyst to launch Paddle for Progress, a project to raise water quality awareness across Minnesota. 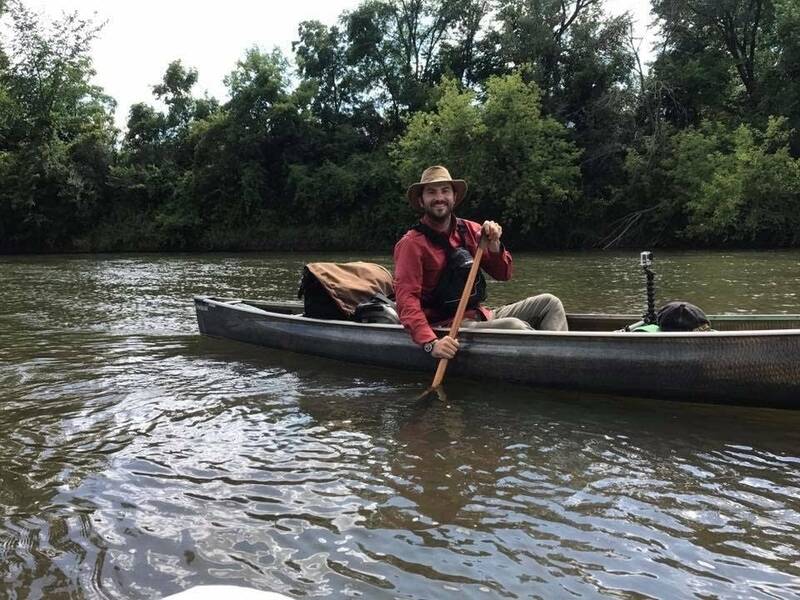 The 34-year-old doesn't have a background in water science, but says he's always enjoyed being outdoors and spent a lot of his free time kayaking or solo canoeing. "I see this resource that we have and the amazing beauty that it provides and a great way to relax," Gustafson said. "And then on the other side of it, I see the harm that is being done to it from a variety of different things. I just really wanted to step up and try to do something to protect the resources that we have." So far, Gustafson has paddled 16 of the state water trails, camping along the way. Beginning in May, he'll embark on the remaining 18, mostly in central and northern Minnesota. First up is the Snake River in east-central Minnesota. Some rivers take only a few hours to paddle, while others take days or even weeks. The Minnesota River took Gustafson nine days to traverse last fall. This year, he'll paddle the Minnesota stretch of the Mississippi River again, which will take two or three weeks. Gustafson doesn't paddle during thunderstorms for safety reasons, but cool weather doesn't deter him. 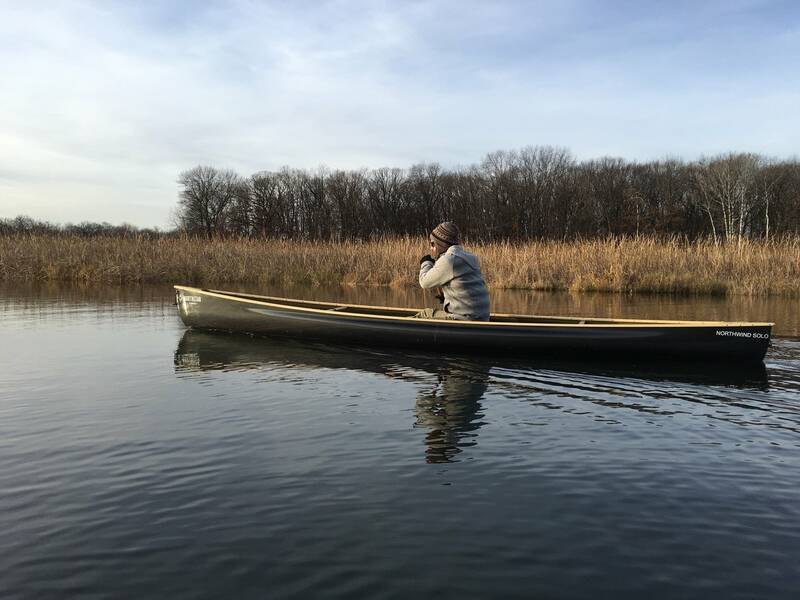 He traveled the Cedar River in southern Minnesota last Halloween in 15-degree temperatures. "It can be a little chilly and you've got to bundle up," he said. "And you've really got to be careful, because if you go over, it's not something that's easy to recover from at that point." The journey has given Gustafson a unique perspective on the varying health of Minnesota's rivers and the threats they face, from erosion caused by farming practices in southern Minnesota to zebra mussels that have left the Rum River unnaturally clear. Gustafson said the reaction he's received from people he's met along the way has been mostly positive. "Most people say that it's a rather bold move, because most people aren't willing to just quit their job and give up their apartment and just do something like this," he said. Minnesotans also seem to agree on the importance of water, Gustafson said. "I don't think there's anybody out there who says, 'I don't care about clean drinking water,'" he said. "That just isn't the spirit of Minnesotans." But Gustafson said many people don't fully understand the long-term impacts of their actions on water quality. His message: If everyone chose to do one thing to help protect and conserve water — pick up pet waste from your yard or use less salt on your sidewalk — it would make a difference. "My big thing is trying to get people to understand that if everyone does some small thing, the cumulative effect can be really large," he said. "There's a ton of ways for people to get involved that doesn't cost any money and takes very little time, but can make a big impact." Follow Gustafson's progress on his website. This story is part of The Water Main from MPR News, helping Minnesotans understand the value of water in our lives. Check out @thewatermain on Twitter.